Solmed are lamps used in thermotherapy. Phototherapy helps treat chronic and subacute inflammations, but pain syndromes as well. 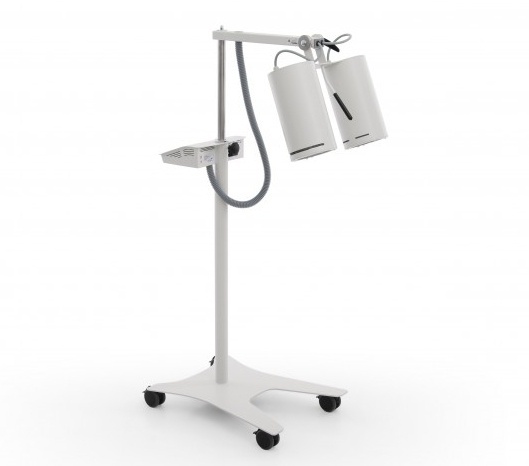 Solmed Duo enables treatments with various orders thanks to blue and red filters which can be applied, thus affecting the radiation results. There are phototherapy lamps of three types of radiation intensity available: lower (with one emitter) and higher (with two or three emitters).